Hi Friends. We’re taking a week away from Nashville because we’re crushing on San Francisco in 48 hours, and we know you will too, once you read this. San Francisco does the best job of any city I’ve been to in America of offering elegant, farm to table food that fits my big, fat, healthy viewpoint. 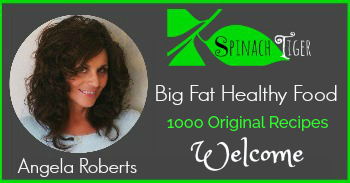 We hope you take the time to read this, because it is ribboned with wonderful American stories of entrepreneurs and visionaries who have formed the culinary culture of San Francisco and, consequently, America. Many of the places we visited or ate at were started with one person and an idea to bring something wonderful to eat or drink. We like to stay around Union Square. In the past we have stayed at the Westin St. Franics, and Marriott Marquis, Grand Hyatt, and Sir Frances Drake, all in this general area. 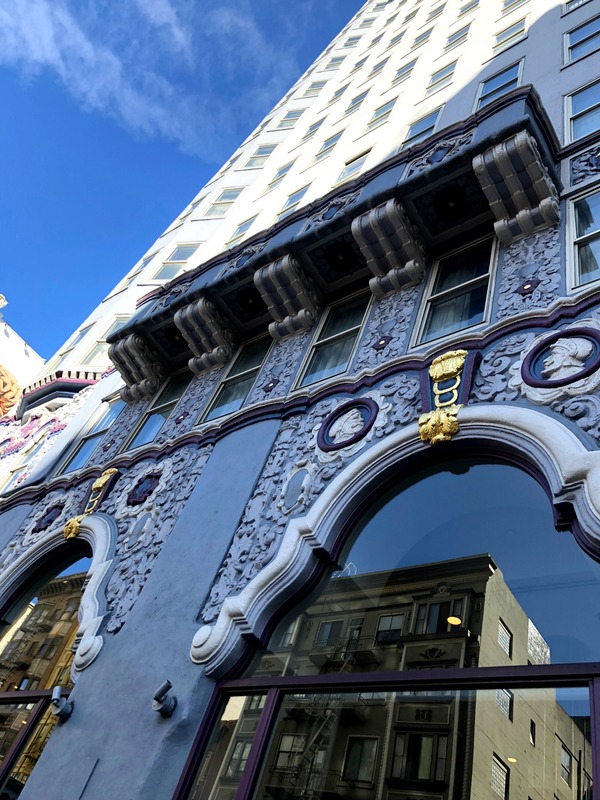 The Union Square area is perfect if you want to get in some shopping, and you can still walk to China Town, North Beach or the Ferry Building. 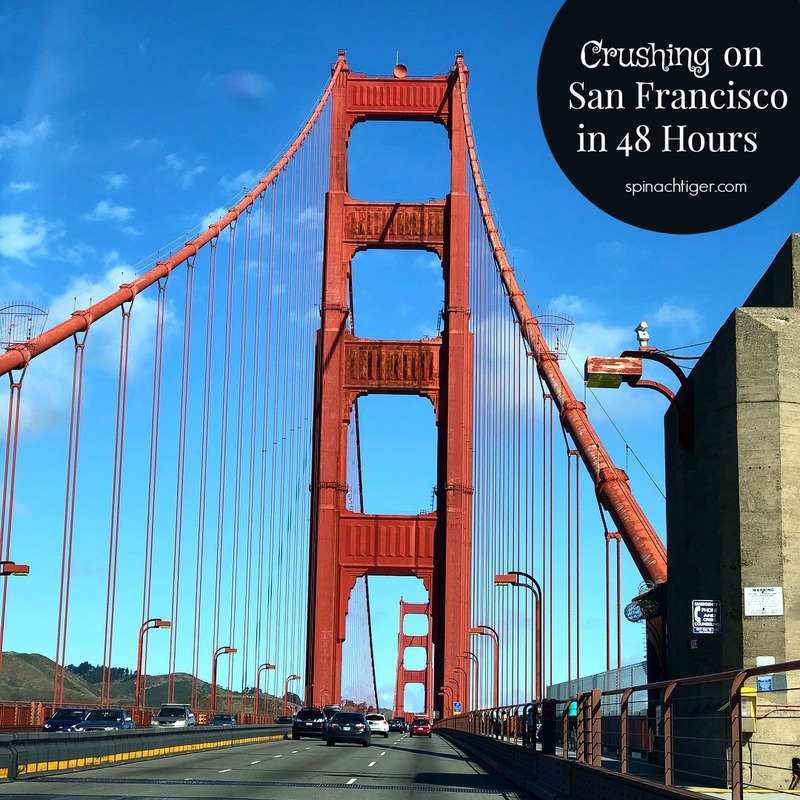 It’s a 30 minute walk to Coit Tower and a 36 minute walk to Fisherman’s Wharf. You will want to do some walking off of all the food you’re going to eat. On this trip we stayed at the Hotel Adagio using Marriott points. It’s comfortable, and has a nice little bar to sit at that makes a great old fashioned or Manhattan. On my our last visit, we stayed at the Sir Francis and the bartender made the best Bloody Mary I ever drank. I went home with that recipe. You can check out any of the bakeries and coffee shops below and go that route, or you might want to visit Mama’s. 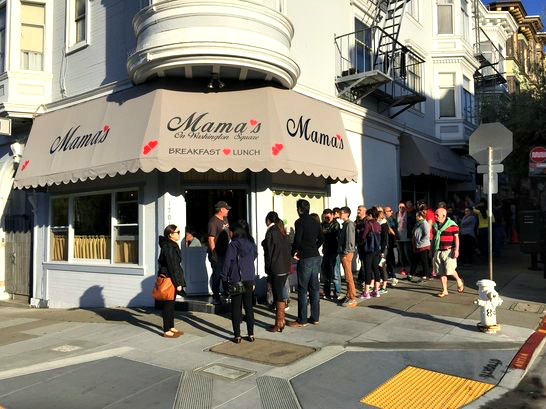 Mama’s on Washington Square – Go early, wait in line. 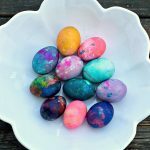 They do NOT take credit cards, but check out this instagram hashtag and you’ll see, it’s worth it. During Dungeness Crab season, they have crab benedict and crab omelettes, but you can also find prosciutto, smoked salmon, and pancetta for savory combinations. If you’re looking for old fashioned sweetness, order pancakes made from scratch or french toast. 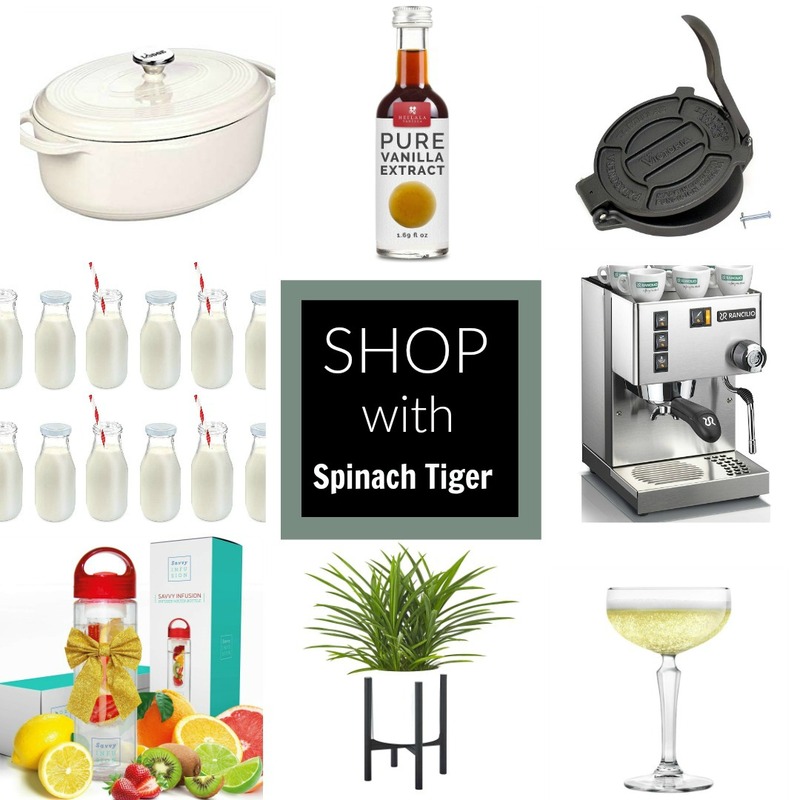 The funny story for me is Spinach Tiger got its name confirmed waiting in a long line at Mama’s 9 years ago! 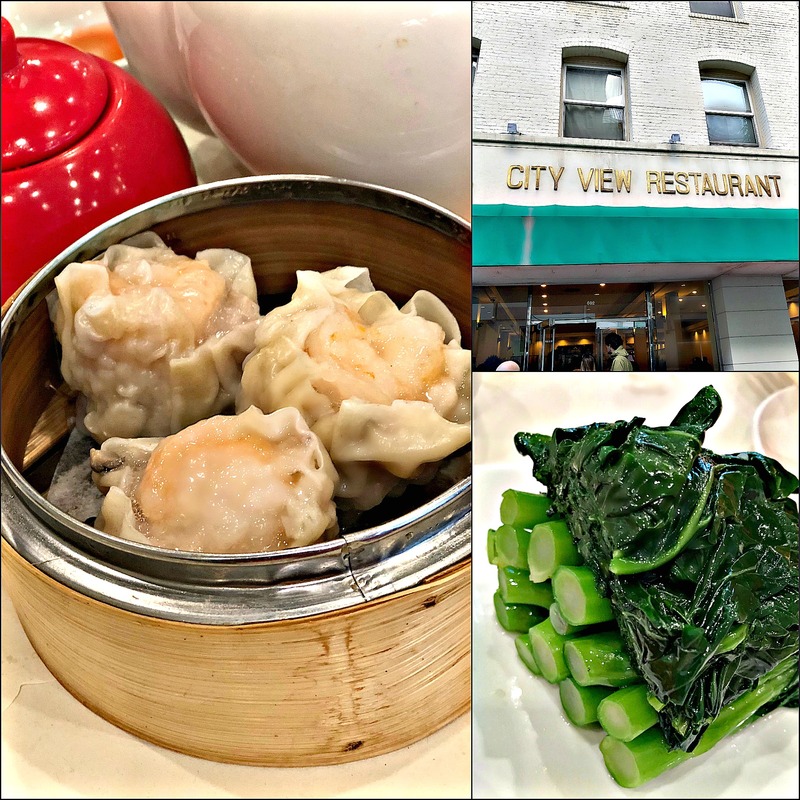 If you’re looking for a different kind of brunch experience, Dim Sum at City View is just as popular as Mama’s, but the line moves a lot faster. Write your name on a tablet and expect about a twenty minute wait. Feast upon dumplings, buns, shrimp rolls, fried rice, and so much more. This is a great place for larger parties. Ask for broccoli greens if they don’t come around with them. The greens are so delicious and round out the heavier carbs. 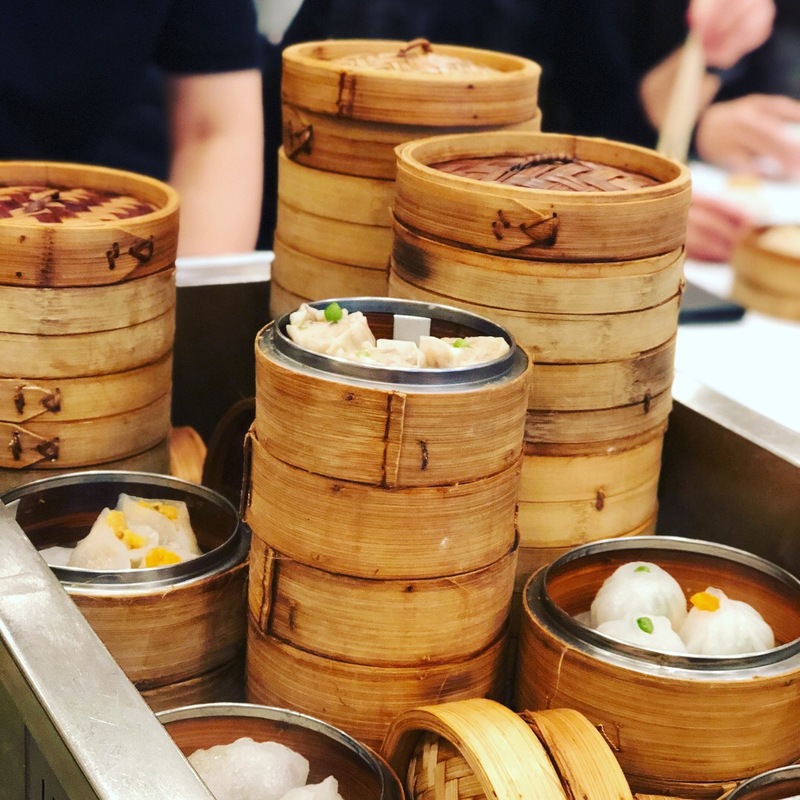 Don’t worry, though, the food still has a light touch and you’ll have room for dinner, because you’ll take a long walk into Chinatown from here or head over to the Ferry Building for coffee. Take a walk through China Town before or after. It’s fun; it’s interesting. It’s delicious. (and what’s with my hair. It’s all streaky, not my norm for sure. 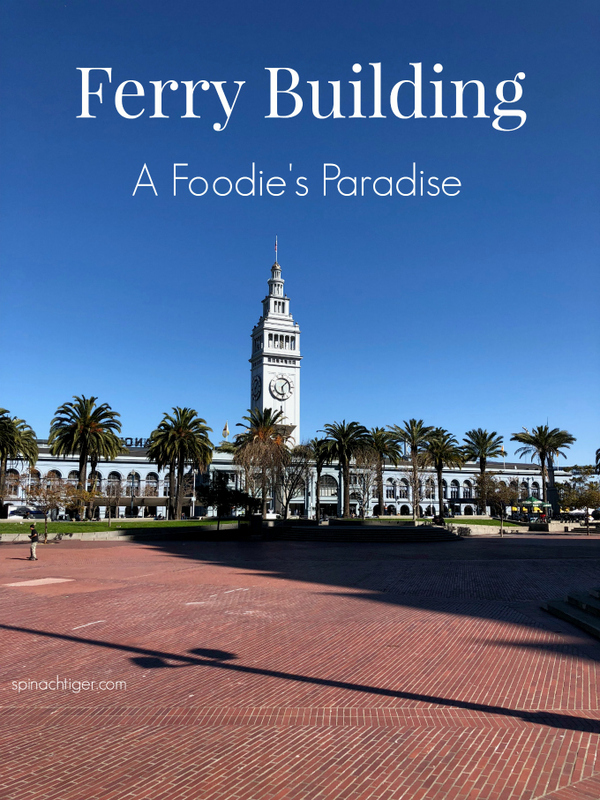 The Ferry Building is open every day, but if you can get to the Ferry building on a Saturday, you’re in for a real treat as this is one of the best farmer’s market I’ve been to. You’ll be able to grab a bite from the vendors, or go inside to eat; all of the choices are good choices. I never ever go to San Francisco without stopping here at least once here. Make sure you look at the directory, as we can’t cover everything here. If you love oysters, The Hog Island Oyster Company in the Ferry Building is your heaven. There will probably be a line but it’s worth it, and you might be able to sit outside on the water. You have to get something at Cowgirl Creamery if you love artisan cheese (and who doesn’t) and pair it with bread from next door at Acme Bakery. Doug and I once ate an entire Pierce Pt (soft, creamy, herb wrapped) and loaf of bread for lunch. Only do this if you plan on walking for the next two hours! They have the largest selection of cheese I’ve ever seen in one place (their own and other carefully selected brands). If indoors is not your thing, walk down to Fisherman’s wharf and eat clam chowder and sour dough bread. It’s touristy, but that doesn’t mean it’s not good! The Tartine Manufactory – This is a fairly new concept, open from 8:00 a.m. to 10:00 p.m. Looking at their instagram feed, the sandwiches look insanely good. Inside the building is a bakery, a soda fountain, coffee, beer, wine and food served all day. We have two favorites we equally love. Blue Bottle founded in 2001 in Oakland . Beans are round within 4 to 7 days of roasting, depending on the bean. If you’re an espresso coffee buff like we are, read what they have to say about degassing espresso beans. It’s hard to find a real cappuccino even in the best places. 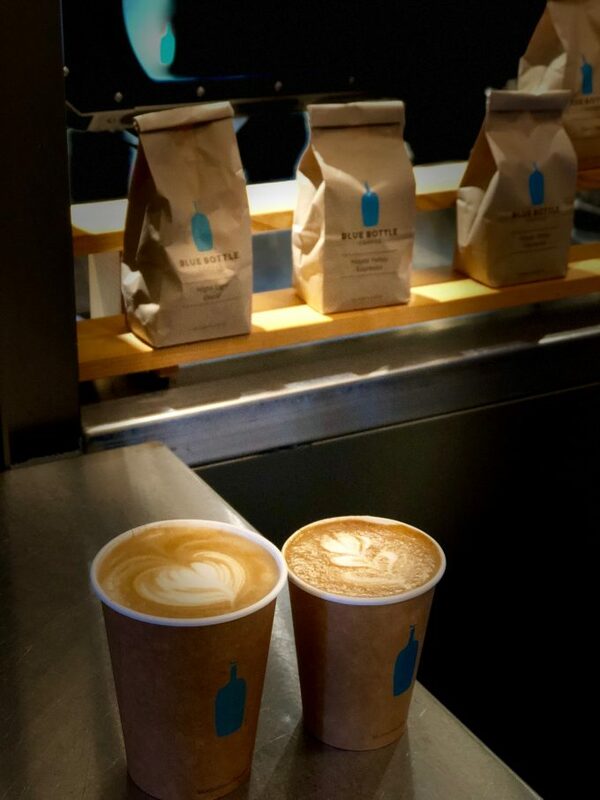 Blue Bottle gets it right and we did a taste comparison of latte verses cappuccino. The cappuccino wins, as you can really taste the coffee, whereas the latte drowns it out. We love the Peets story, because shockingly, the first Peets opened in 1996 on Vine Street in Berkley. Alfred Peet moved here from Holland and was appalled at what America called coffee. A true visionary, catapulting the artisan coffee movement, which we now take for granted. My favorite specialty latte is the golden cappuccino, with natural turmeric, ginger and honey. If you can’t get great pizza in your hometown because you don’t live in Italy, we suggest at least one stop at Pizzeria Delfina. 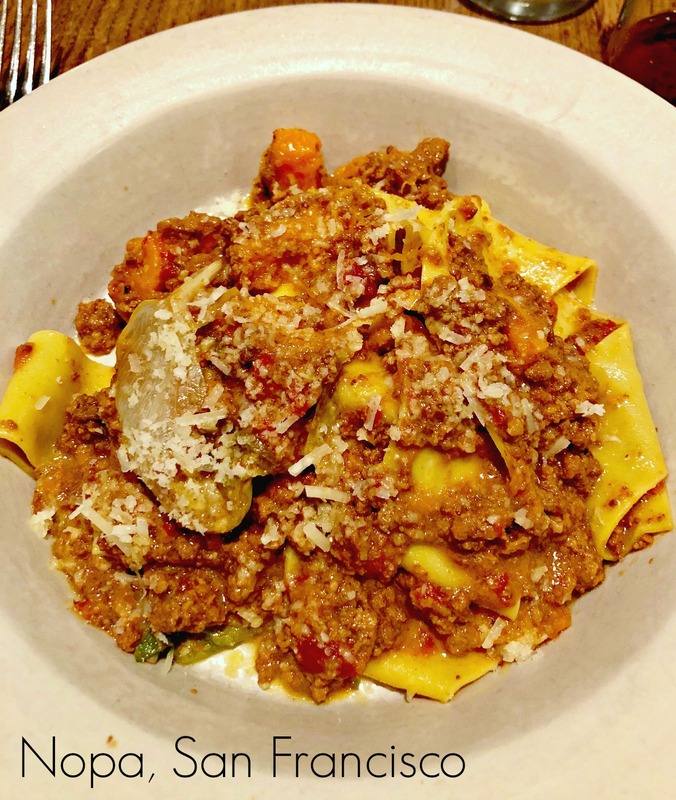 If you want a very delicious authentic Italian dinner, try their James Beard Award winning restaurant. 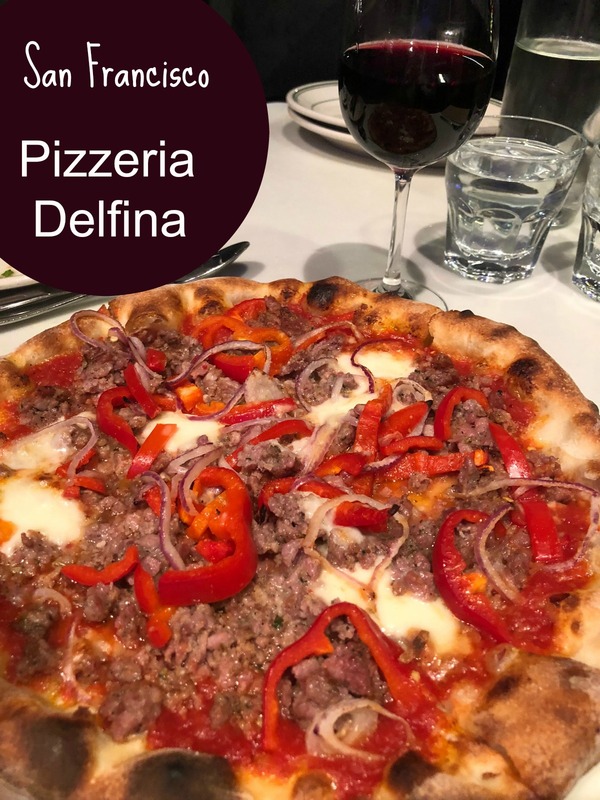 Pizzeria Delfina– It’s all about the crust and they have it. If there is just two of you, you can share a pizza and a salad, saving room the butterscotch budino. Nopa – a neighborhood restaurant, specializing in wood-fired organic cuisine. 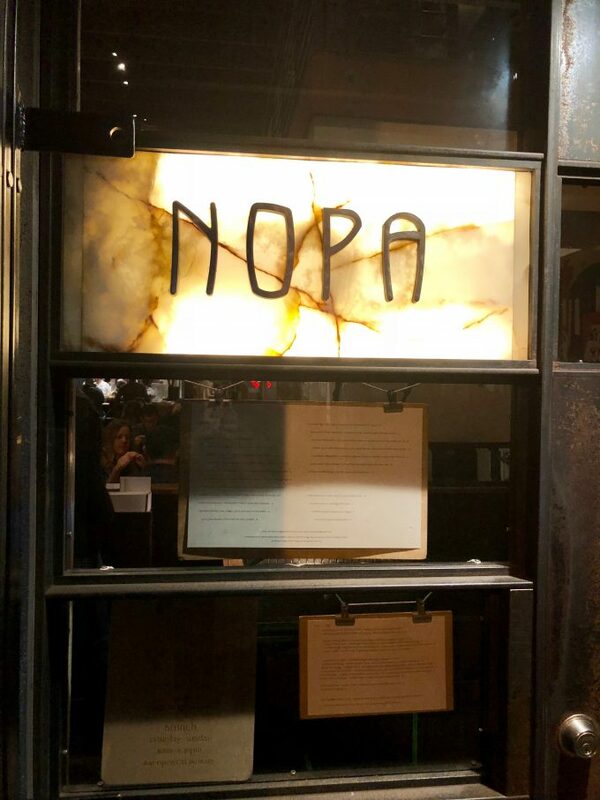 We went to Nopa with friends who live in San Franciso, as it’s their favorite restuarant. I ordered the special of the day, wood-fired Whole Snapper. It was beautiful and perhaps the best fish of my life. It was enough for two people, but let me confess, I ate it all. My only solace is that I do know how to roast a whole snapper, so I can experience this again, but it won’t be exactly the same. The portions are large, the craft cocktails are good, the atmosphere is nice casual, and you can eat at the bar. This is the kind of place that has something for everyone, including a burger on the menu. I got to sample the brined pork chop that will blow your mind as you can cut it with a butter knife. Doug ordered the homemade paparadelle with bolognese. 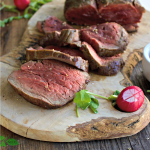 We know what authentic is supposed to taste like, and they nailed it! I have recipes for Roasted Whole Snapper, Authentic Bolognese, and Homemade Paparadelle. Zuni Cafe – I have a few pleasant memories of eating at Zuni Cafe. If this restaurant were in Nashville, I’d probably eat here every week. Originally started in 1979, it evolved to James Beard Status. It encompasses a rich history of European influence, some Chez Panisse DNA, as a toaster oven and small slice of real estate expanded into a full service restaurant with a wood-fired brick oven roasting quail, whole fish, and their legendary roast chicken for two, served with an equally famous bread salad. The chicken is dry brined for three days. 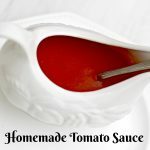 I was so smitten with it years ago, I came home and made it a million times. Once we had it for Thanksgiving. Recipe here. There’s also a Zuni Cafe Cookbook, which I have and love! I never leave the Zuni without ordering the chocolate flourless cake for dessert. It’s light in texture and dark in flavor. 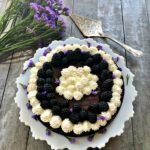 I’ve made this chocolate cake numerous times and everyone loves it. It’s not a typical dense brownie like flourless cake. Its more like a creamy mix between mousse and ganache. I have the recipe here. There is no end to sweet choices in the bay area. Choose from wonderful artisan bakeries, chocolatiers, or organic ice cream. Walking from dinner one evening, we stumbled onto Smitten Ice Cream, an organic ice cream shop. As so many things that come out of the Bay area, there’s a cool entrepreneurial story. 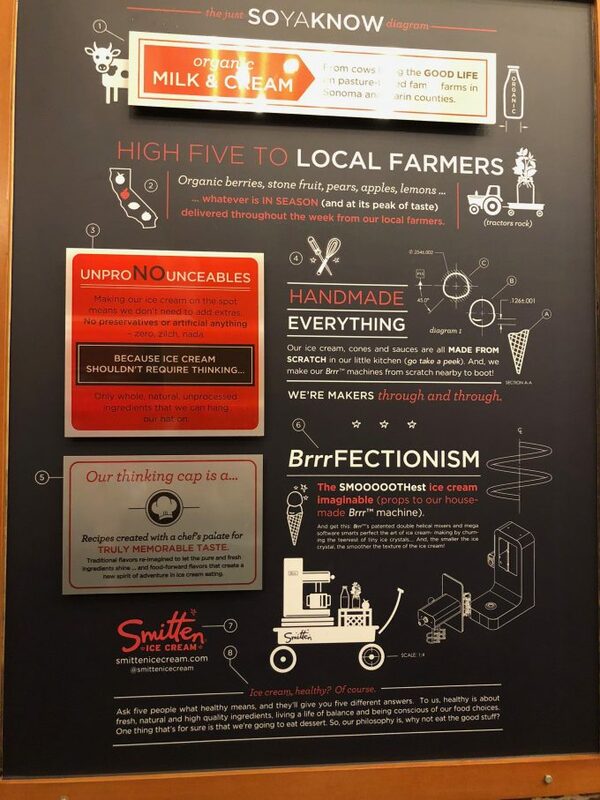 They actually churn the ice cream fresh while you wait, using a Brrr®, Smitten’s proprietary contraption that freezes ice cream in about 90 seconds (it’s super cool, literally) and churns perfectly. It’s the coolest thing, literally, figuratively. It’s okay if you have high expectations. They’ll meet them. They only have six or so flavors, so they can get it right, and it’s the creamiest freshest ice cream. I tried cookies and cream and lemon and both were so good. Miette Cakes (in the Ferry Building) has cupcakes and confections in small portions, carefully crafted with the finest local ingredients. 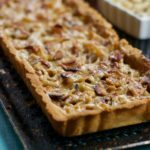 Originally started at the Berkeley Farmers’ Market in the fall of 2001 with a passion for cakes & pastry, it’s another story of culinary food success. 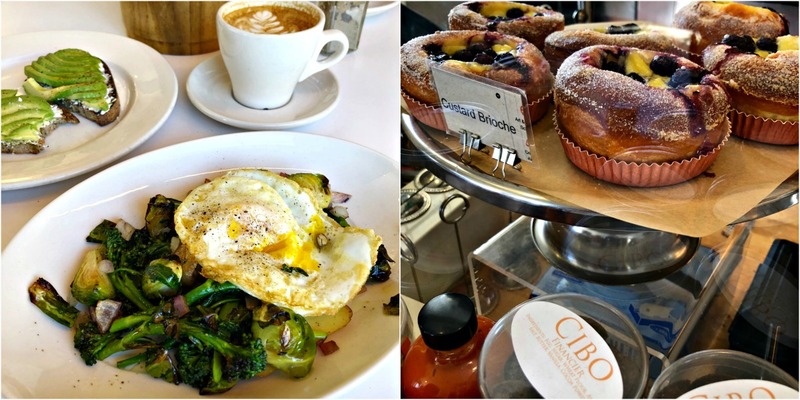 Go to Tartine Bakery and forget calories. This is a splurge and a heavenly treat to the eyes, the soul, the sweet tooth. Sift Dessert Bar is a bakery started in 2008 when the owner was looking for desserts for her wedding. A rise to fame followed a in in Cupcake Wars. 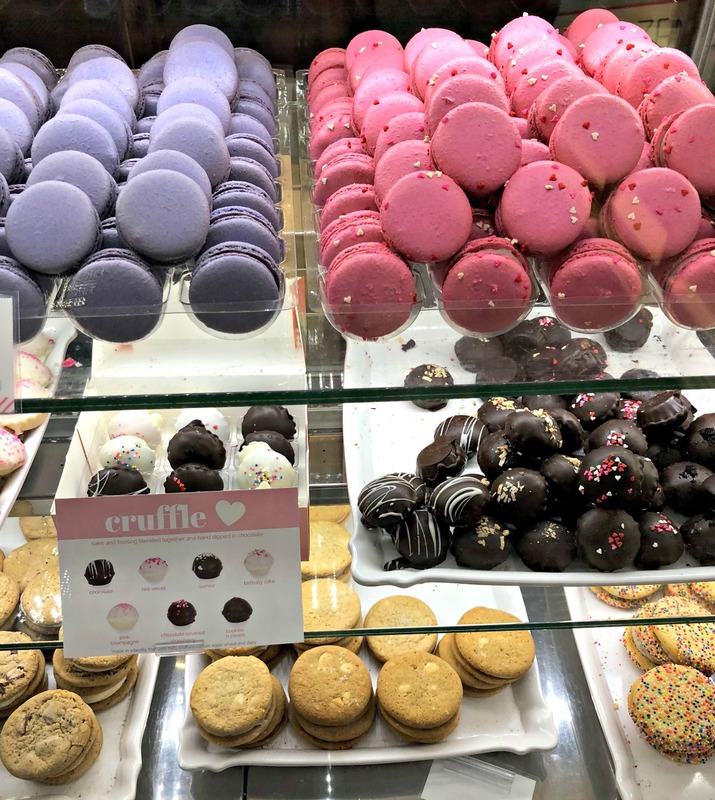 They have cupcakes, macarons and cruffles. 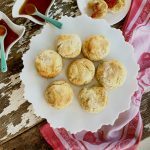 Cruffles are a mix between cookies and truffles.They also makes gluten free products a few days a week. Ghiradelli is another wonderful entrepreneurial story, when Domino Ghiradelli sailed from Italy and opened a store in 1849 in Stockton and then in San Francisco. 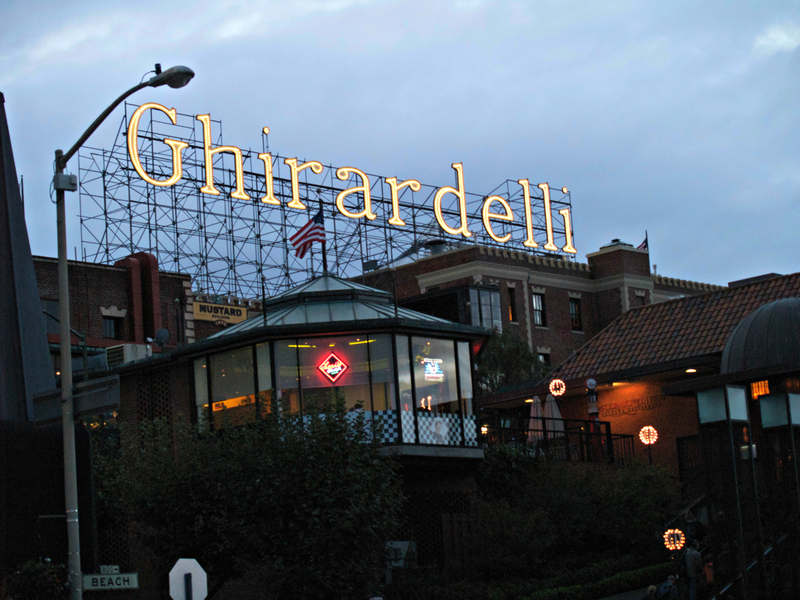 Remember to pronounce it “Geer a dely.” Visit the original Ghirardelli Ice Cream & Chocolate Shop, where you can view chocolate manufacturing equipment, indulge in Hot Fudge Sundaes. Ghiradelli Square was named a San Francisco landmark in 1965. 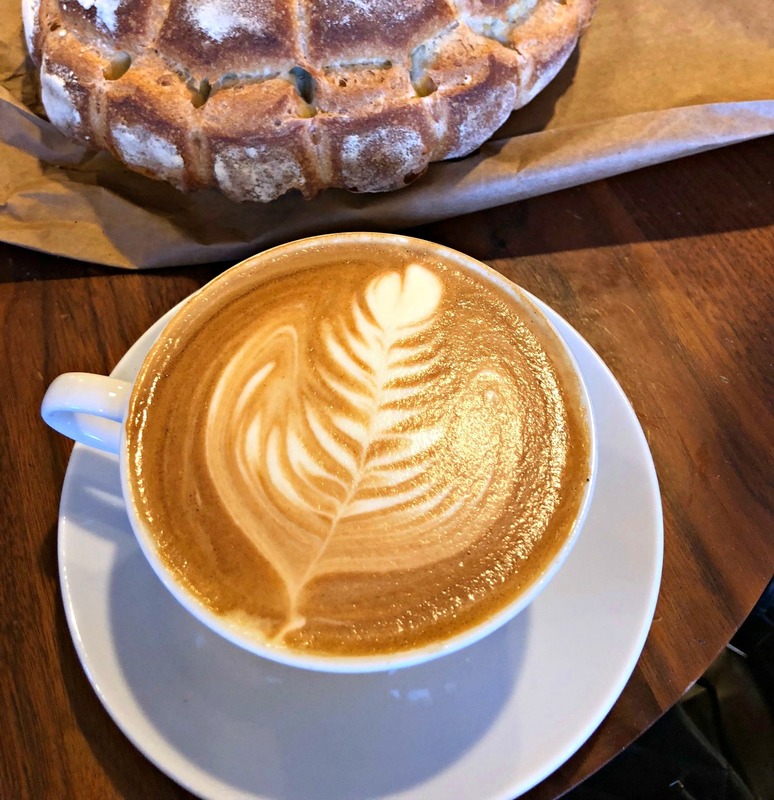 You could also take a morning to bike ride over to Sausalito, get a coffee and a bite at our favorite, Cibo, for breakfast or light lunch. Or go to Fish, completely dedicated to sustainable seafood and organic produce. Take the Ferry Back. This is not a complete list, but a few standouts, we would still like to do. Swans Oyster Depot – take the cable car from Market/California to Polk/California and have a late lunch at around 2:30. There will be a line (only 8 seats) but worth the wait. Great oysters, chowder, etc. Smugglers Cove – Tiki Bar in San Francisco. You think you are in a Pirate Ship. Voted one of top bars in the US. Great! 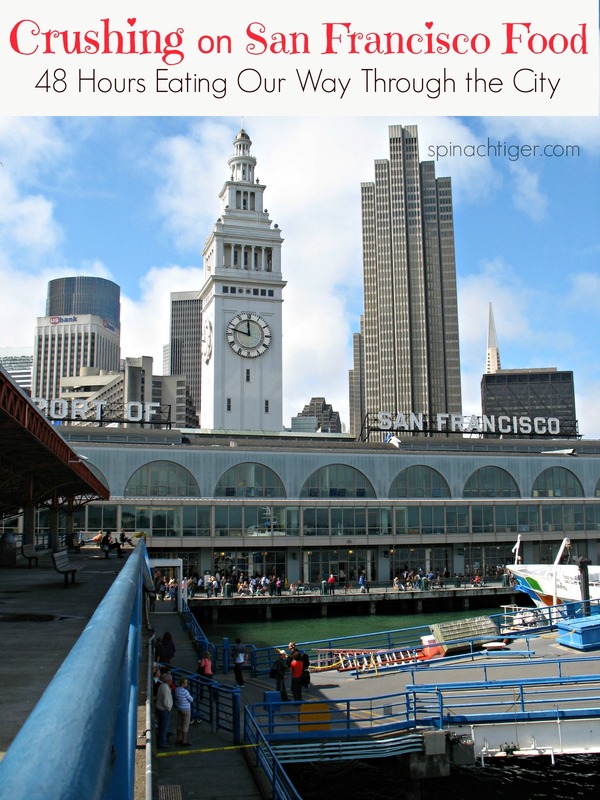 A Boat Ride Tour and maybe a Tour of Alcatraz – Doug did this years ago and loved it. 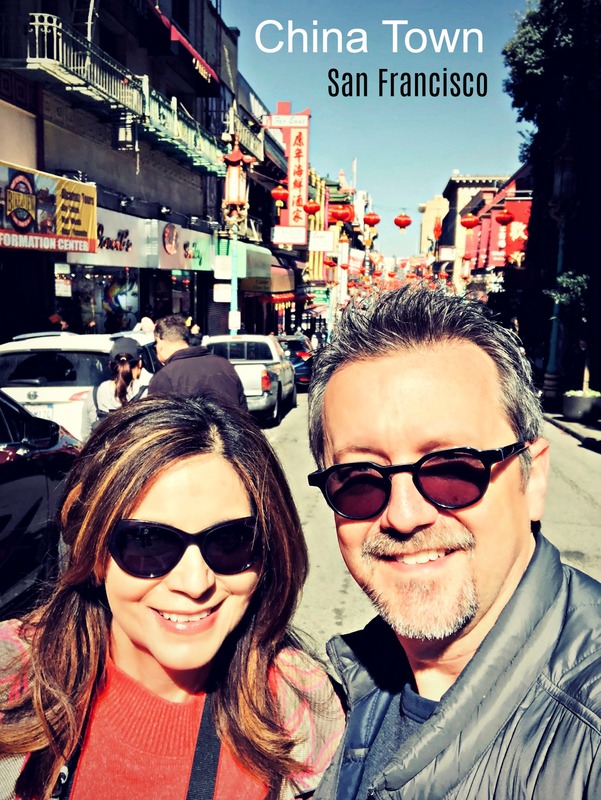 This was our 9th trip to San Francisco in 18 years. We love this city for it’s beauty, breathtaking views, and food. Tell us YOUR favorite places in San Francisco. We’re going back in April, so we’d love to get new recommendations. After our 48 hours, we headed to wine country, which will we will put in a new post. 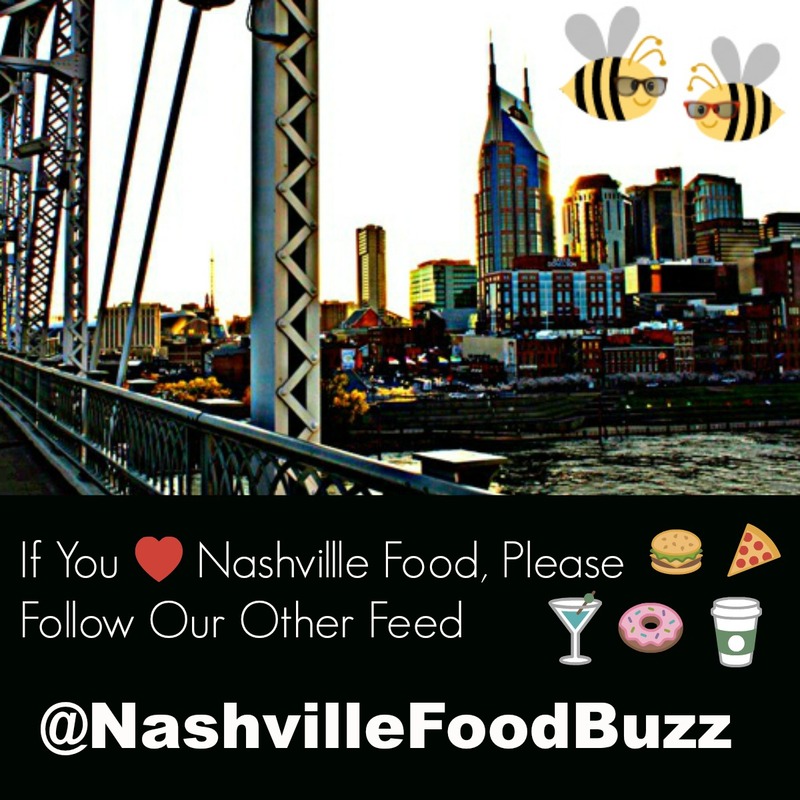 We have a new name for our Nashville Instagram Account, Nashville Food Buzz. Please follow us over there. Never thought to combine lemon and vinegar either!